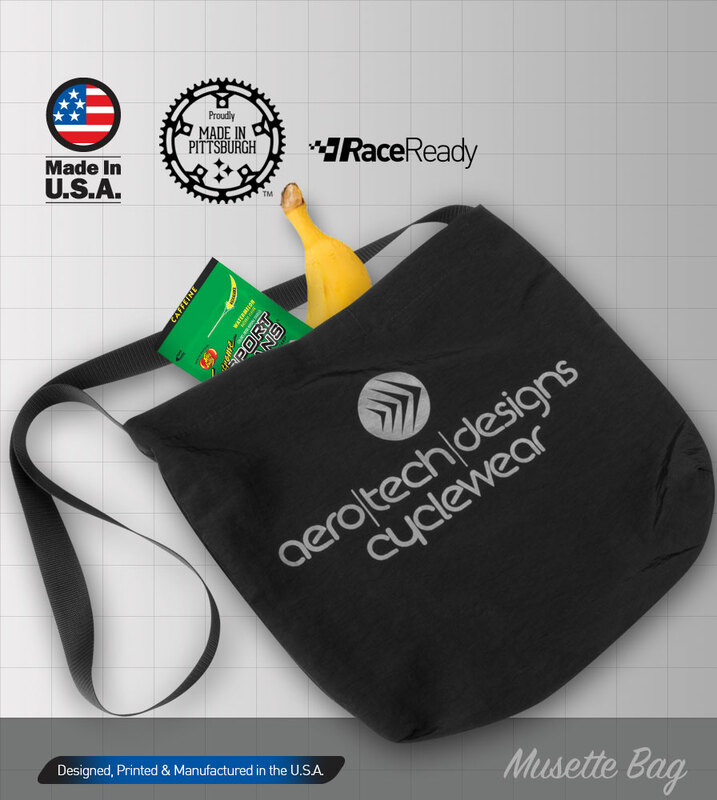 Made in the USA with a high quality, light weight supplex fabric that provides durability making this musette bag a multipurpose accessories that you will use constantly. 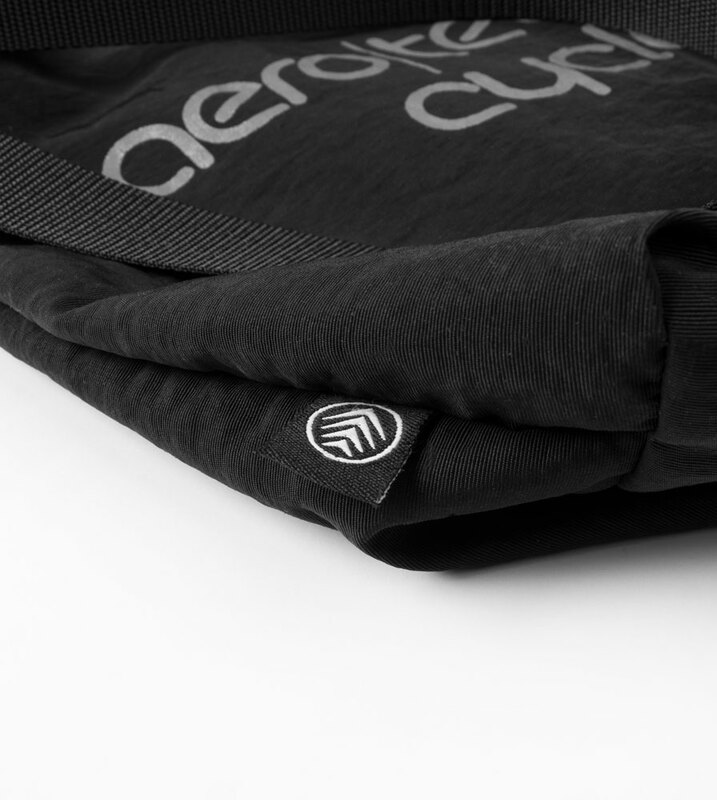 The fabric does not snag or catch on sharp bike components, it can hold plenty of weight for feeding/ watering stations, and it can be customized to match your team or event for a great promotional gift. This bag is made with a thick strap which is perfect for grabbing during races and fits comfortably on the shoulder on and off the bike. A Velcro closure makes opening and closing a breeze. One size fits all. 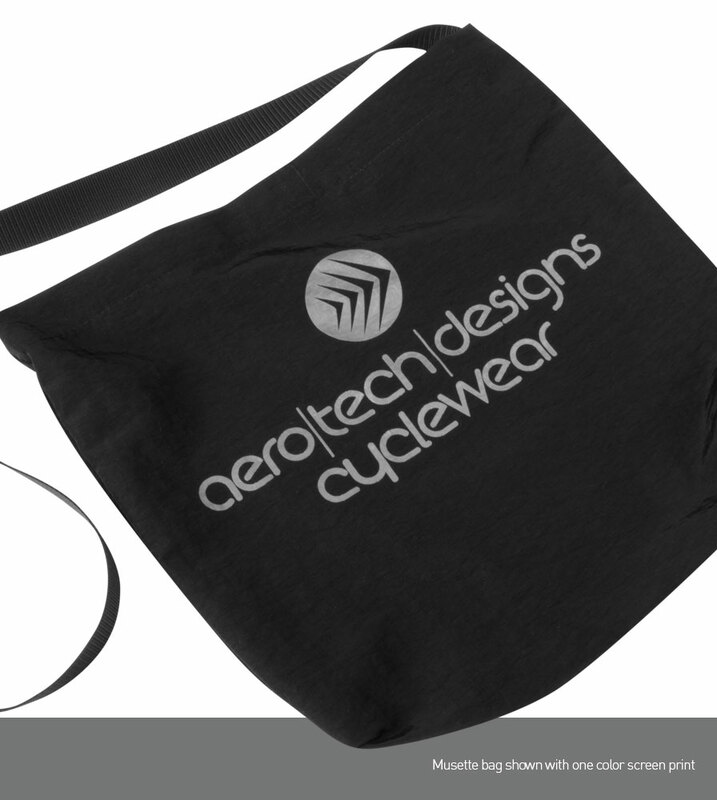 Aero Tech Designs Custom Musette Bag is a screen printed accessory that can be customized using between 1-4 colors with logo placments on the front, back, or on the strap of the bag. 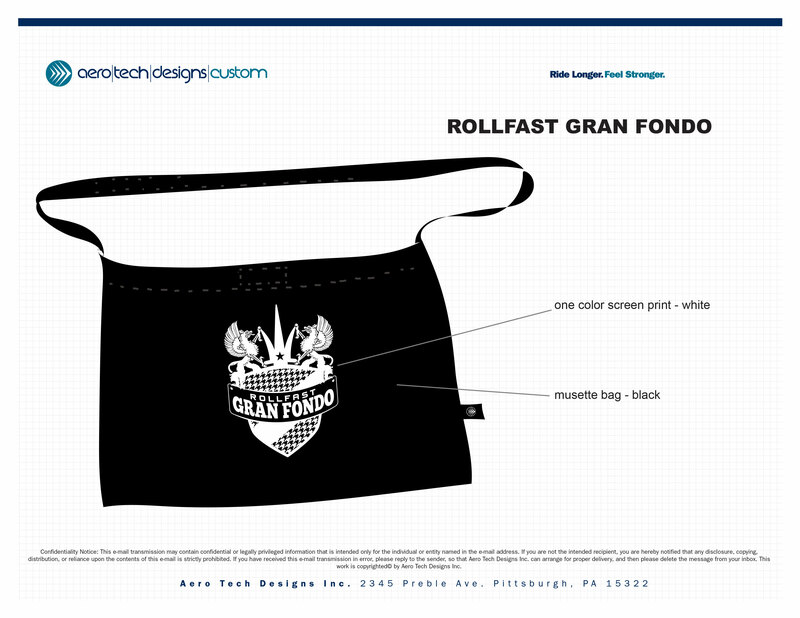 Click here to download the Musette Bag Template so you can start designing. Want a custom Product? We can Help!